Hey all- So I just wanted to write a post letting you know what is happening in the world of Swedes as well as give you some Replicas of some of the outfits that Victoria has worn. First of all, I have joined Amazon's Affiliate Program which means if you purchase something from my blog via a link I have provided- I get a few pennies of the sale. Why you ask? Well in order to provide you with Tip Top coverage as well as continue to expand the blog, I have to make a few purchases of my own. (This will mostly be books because as this blog expands I hope to bring more details of things such as history and jewels to you). So anyway- you are under no obligation to purchase and I am not getting paid to say nice things- I say what is on my mind and I hope you continue to read. 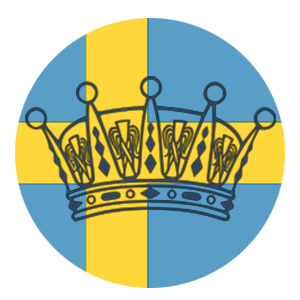 NOW for the royal business- things have been quiet for the Swedes and will remain that way for another week. So I thought in the mean time I might offer you some replicas of some of my favorite pieces of jewelry! Both Victoria and Sofia have been seen wearing butterfly necklaces recently- Victoria's from Kreuger Jewellery and Sofia's is Swarovski Better Butterfly Necklace . Now if you wish to splurge and spend 75 dollars on Sofia's you can do so, but here is a nice replica for a smaller price tag. Now Victoria daily wears many bracelets from Sophie by Sophie on her wrist- my favorite is the open heart with white diamonds surrounding it but sadly I do not have 2,090 dollars to spend, but I think this is a nice alternative. That is it for today, what would you like to see replicas of? How can I improve this blog? Please PLEASE comment and let me know!